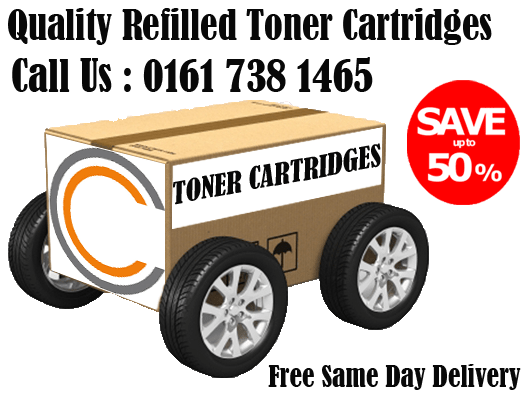 We Supply A Large Range Of Compatible Refill Canon Ink Cartridges Manchester Which Include: PG-40, CL-41, PG-512, CL-513, PG-5BK, CLI-8, PGI-520, CLI-521, PGI-7, PGI-9, PGI-525, CLI-526, PGI-550XL, CLI-551XL, PGI-1500XL Ink Cartridges Manchester. Using Cartridge Care Ink Cartridges You Could Save Up To 50% On The Cost Of Buying Canon Original Ink Cartridges Manchester. Cartridge Care Manchester’s Compatible Canon Ink Cartridges are 100% Money Back Guaranteed For Quality & Reliability. We Offer Free Delivery To Homes & Businesses In Greater Manchester If You Spend Over £20. So What Are You Waiting For – Call Cartridge Care Ink Cartridges Manchester Today On : 0161 738 1465 – See How Much You Can Save On Your Canon Ink Cartridges Manchester. Cartridge Care Manchester Supply A Large Range Of Compatible Refill Brother Ink Cartridges Manchester – 0161 738 1465. Some Of Our Most Popular Brother Ink Cartridges Are LC123, LC125, LC127, LC223, LC225, LC227, LC970, LC980, LC985, LC1000, LC1100, LC1280 and many more. Cartridge Care Manchester’s Compatible Brother Ink Cartridges are 100% Money Back Guaranteed For Quality & Reliability. We Offer Free Delivery To Homes & Businesses In Greater Manchester If You Spend Over £20. So What Are You Waiting For – Call Cartridge Care Ink Cartridges Manchester Today On : 0161 738 1465 – See How Much You Can Save On Your Brother Ink Cartridges Manchester. A small office can minimise printing and running costs by using the compatible 4 colour HP 131 toner cartridge multipack. The compatible HP131 toner is formulated to melt fast without compromising efficient and fast transfer. 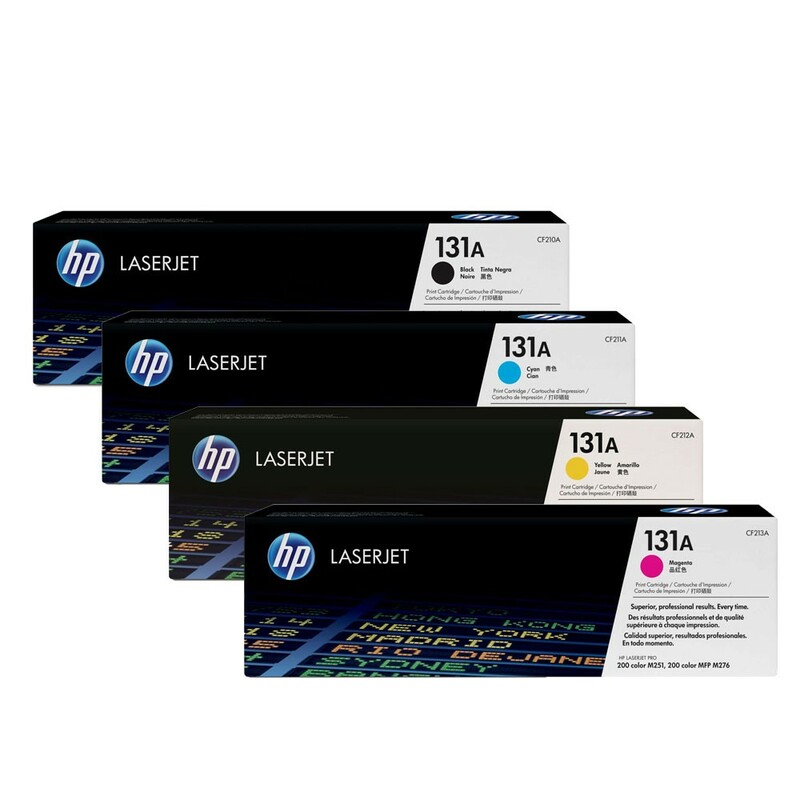 The compatible HP 131 multipack is cheaper than buying the cartridges separately, enabling users to save money in the long run and providing them with a ready replacement when it is needed. The compatible HP131 creates bold and impressive results by delivering crisp colour graphics and black text. So for affordable high quality printing you can rely on, choose the compatible HP131 laser toner for your HP printer. Get this compatible HP 131 multipack with a 30-day money-back guarantee and low prices. Cartridge Care accepts all major cards and delivers for free on the next business day, so you can get your compatible HP131 printer toner sooner with our next day delivery. Big name brands fight back and try to tarnish the reputation of third-party cartridges claiming the print quality is never as In the UK over 45 million non-biodegradable printer cartridges end up in landfills each year and some of the plastics used in printer cartridges can take up to 1000 years to decompose – leaving lots of time for their toxic chemicals to spread into the soil and pollute the environment. These cartridges being chucked into landfills are a huge waste of the planet’s already limited natural resources. By recycling, refilling or remanufacturing your inkjet or toner cartridges, you are not only saving the environment but also saving yourself a considerable amount of money. Third-party refill cartridges are on average 30% cheaper than original equipment manufacturer (OEM) cartridges. Buying third-party cartridges is a win-win situation, for you, and for the environment. Recycled cartridges stop the major brands from monopolising the cartridge-selling good, and there are also rumours that using cheaper cartridges will ruin your printer warranty. These are just rumours in most cases, check your printer brand’s small print for confirmation of this, but we know the majority of the time that third-party cartridges will not affect your printer’s warranty. Independent studies have shown the print quality of refilled and remanufactured cartridges is just as good, if not better, than the original brand cartridges. Many third-party cartridge suppliers are trusted brands who have been in the industry for over a decade so they have the expertise to compete with the quality of brand name cartridges. It takes between 1-2 litres of oil to manufacture a laser toner cartridge, and as you probably know, oil is a non-renewable source, so by refilling or remanufacturing your cartridges, you are helping to conserve one of the planet’s limited resources. Over 60% of laser and toner cartridges are only used once and then chucked away, which is why people need to start recycling and refilling their cartridges – not only will you be saving yourself a considerable amount of money, but you’ll also be saving the planet! Businesses can benefit from using an environmentally friendly cartridge supplier because they will helping the planet and also saving their business huge amounts in their printing costs. Using environmentally-friendly methods shows you are a responsible and sustainable company – and will help you to become a greener business. By purchasing cartridge refills, you are saving the planet’s natural resources and stopping your empty cartridges from spending years and years decomposing in landfills. Landfills cause pollution through the emission of greenhouse gases and contamination of chemicals into the soil. Plastics, aluminium and oil are three of the planet’s natural resources that are used to go into the making of cartridges – these are resources that can be saved if we all try consciously reduce our carbon footprint. Third-party cartridges can be recycled, inkjets can be refilled and laser toner cartridges can be remanufactured. When a laser toner cartridge is remanufactured it is checked to see if any parts need repairing or replacing and then refilled with ink.